Breakfast is the most important meal of the day; everybody knows that. But lunch, especially for kids, is just as important, because it bridges the gap between morning and evening meals. Without a healthy, filling and nutritious lunch, your child will be running on empty. The best lunch boxes can be a good tool in encouraging kids to eat their packed lunches. The anticipation of opening their lunch box, seeing the food and drinks, and comparing them with their friends is also a contributing factor. The bright colors, beautiful designs, and practical compartments are also great ways to encourage kids to take their lunch boxes to school, on field trips, and even to picnics. Good nutrition for your child starts with an awesome lunch box. We must say, of course, that the most important thing is the quality, quantity and type of food packed into their lunch box. So let's take a look at 10 of my favorite lunch boxes that will keep your child's food fresh. Most lunch boxes don’t provide sufficient insulation for the food and drinks placed inside them. For example, the hot food becomes cold and the cold drinks become warm, thus, kids are less likely to consume them. 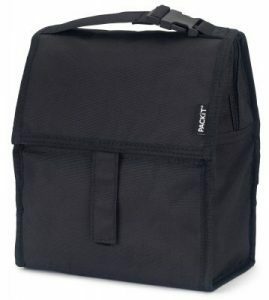 Fortunately, the PackIt Freezable lunch bag keeps food fresh and drinks cold, depending on your preference. Here’s how it works: The PackIt Freezable has freezable gel that becomes ice when the entire lunch bag is placed inside the freezer for 12 hours. Just fold it flat before placing it inside the freezer. When you unfold the bag and pack your kid’s lunch and snacks inside, they can still enjoy the fresh food and cold drinks a few hours later. This is a great bag for packing fresh fruits and vegetables, milk and yogurt, and other items that require a cool environment to prevent it from spoiling. This can even be used for packing in a baby’s milk bottle and various food items if you are going on a picnic. What's Great About It: We like that the PackIt Freezable isn’t just your ordinary lunchbox – it’s a mini-cooler too. You can choose from 29 designs, so there’s a different one for each of your children. You also have the assurance that it’s made from kid-friendly materials that are free from harmful chemicals and are sturdily built. Children like their food to be compartmentalized so that their presentation and flavors are preserved until eaten. This is a sensible approach to packing lunches, as accidental mixing dry and wet food in a lunch box can spell disaster. The Bentgo lunch box offers a great solution. As its name implies, the lunch box is inspired by the Japanese bento boxes with their multiple compartments. You can place as many as five different food items in the box. You don’t have to worry about these food items mixing with each other since the high partitions and molded lid will keep them in their respective places. Your kid can even drop the lunchbox from a low height and it will stay closed. This is due to the rubber-coated edge and secure latches, which form an airtight seal as well. You shouldn’t encourage your child to do so, nonetheless, since accidents can still happen. What's Great About It: Aside from the food-grade, non-toxic materials used, the bento-style lunch box is also microwaveable and dishwasher-friendly. I also like the leak-proof compartments, which prevents sauces and other liquids from accidentally leaking out. Animal-inspired lunch bags are the rage among kids for obvious reasons. 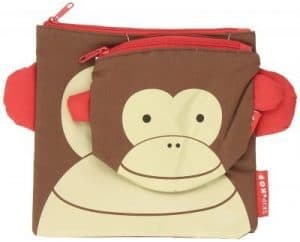 With the Baby Zoo lunch bag, your kid can choose from three adorable animals with equally lovable names – Ferguson Fox, Otis Owl, and Picasso Penguin. Your child will find all of these animal-inspired lunchboxes easy to use. The top handle can be attached to the straps of bags, strollers and grocery carts, leaving a spare hand to deal with other things. You can pack hot or cold food and drinks in the lunch bag. Your kid will be able to enjoy the good quality a few hours later, thanks to the fully-insulated compartment. You can store the eating utensils in the mesh pocket too. This is a relatively small lunch bag. You can pack a few food items for your toddler in it, and it is perfect for snack time. What's Great About It: We like the animal-inspired designs and insulated layer. But keep in mind that this is a basic lunch bag, so there are no sophisticated features. 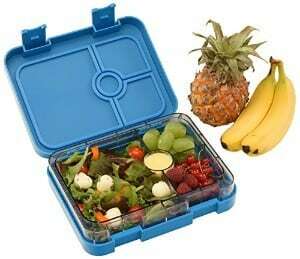 The best lunch boxes for kids usually have several insulating layers to maintain the food’s ideal temperature. 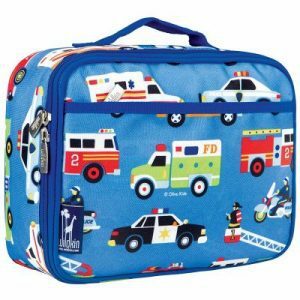 This is true for the Novelty lunch box, which comes in 26 novelty designs inspired by vehicles, popular cartoon characters, and robots, among others. It’s the multiple layers in its IsoTec insulation technology that caught my attention. Basically, it consists of several layers. The inner leak-proof lining is composed of non-chlorinated, PVC-free, and fully biodegradable material. The high-grade closed-cell polyethylene foam layer has superior thermal energy retention capacity. There's also an extra-durable material backing. Think of this lunch bag as a thermos for your child's food. What's Great About It: Parents and their kids like the wide variety of available designs. But it’s the thermos-like quality of the lunch bag that holds their attention long after the novelty of the designs wears off. The Star Wars fandom is alive and well, especially among kids. 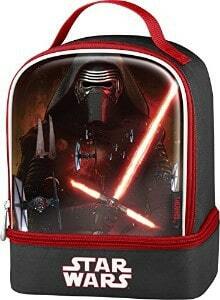 So it isn’t surprising that this Star Wars-inspired lunch kit is as popular among parents as it is with their kids. The beauty of this lunch kit lies in its two compartments, a convenient feature since it makes for an organized lunch box. The larger compartment can hold your kid’s food, while the smaller compartment is for the eating utensils. It's also made with Thermos’ IsoTec insulation technology, giving it a superb insulation capacity. The non-toxic PEVA lining and polyethylene foam layer keep the food warm or cool, depending on the way you prepared them. What's Great About It: I like the IsoTec technology in the lunch bag since it contributes to keeping food fresh a few hours after you have packed it. The glossy and attractive design on the lunch bag’s front is icing on the cake. Yet another Japanese-inspired lunch box is the WonderEsque Bento Lunch Box. You can pack a few types of food items in its multiple compartments, which have different sizes. You can, for example, pack apple slices in one compartment and carrot sticks in another, and don't forget the dip. The compartments are: 2.5 cup size box for large items, 2 boxes each with a ¾ cup capacity, and a well with a ¼ cup capacity. You can pack a full meal in the box because of this feature. You have the assurance that the lunch box is made of safe and durable materials with no harmful chemicals like BPA. These include ABS plastic for the outer box and Tritan plastic for the inner food tray, both of which can be easily cleaned in the dishwasher. The inner food tray can also be popped into the microwave for heating the food. What's Great About It: I like that it comes in several color choices – pink and fuchsia pink for girls, and blue for boys, or you can let them choose their favorite. The durable materials and leak-proof construction are great features too. The Rubbermaid brand is a world-famous brand of coolers, among other plastic items. The LunchBlox lunch bag lives up to the expectations set by the brand’s users, while its available colors appeal to a wide audience. This is a versatile lunch bag, in that it can be paired with other Rubbermaid food containers and Blue Ice packs. With Rubbermaid’s insulation technology in it, the LunchBlox will keep the food warm or cold depending on the temperature in which it was packed in. You can use the side pocket for holding other items, such as a bottle of water. The eating utensils can be stored in the extra pockets. This is a Rubbermaid product so you have the assurance that it’s safe to use in the microwave, dishwasher and freezer. Plus, the bag has an adjustable and removable shoulder strap for extra convenience. What's Great About It: We like that it works so well with other Rubbermaid products, making it a versatile bag. You may even place an ice pack inside the bag to keep food as cool as possible. The Soft Lunch Kit may have a smaller number of design choices than the Novelty line, but it’s just as good. There are 18 designs available, such as Avengers, Barbie, and Frozen, but the IsoTec insulation technology is still present in each bag. What's Great About It: The lunch kit keeps the food well-insulated, thus keeping its textures, flavors and appearance for a few hours before it’s consumed during lunch hours. 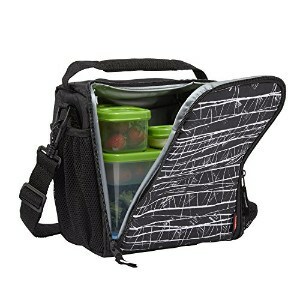 Your kid may also find the fully-padded handle a great feature, especially when their lunch box is filled to the brim. This EasyLunchboxes Bento-inspired set actually comes in four boxes that, aside from being attractive in color, have a clever design. The boxes can actually be stacked together for easy storage and handling, a must for parents dealing with several lunches every school day. 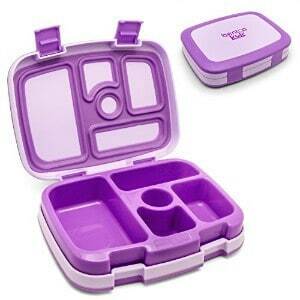 Each lunch box has three compartments so you can pack both dry and wet foods in it. You don’t have to worry about liquids leaking out, thanks to the leak-proof design. You can pop the boxes into a microwave or the freezer without worrying about their materials breaking down. These bento boxes are made with FDA-approved, extra-durable and high-grade polypropylene plastic. What's Great About It: We like the simple yet beautiful design, which makes it easy to use and clean. Great insulation and fashion – these are the qualities that the Wildkin Lunch Box has that made me choose it for my top 10 list. You can keep your kid’s food fresh within its insulated compartment while your kid will look good carrying it. The lunch box also has sturdy construction, a must for long-term use. You can use the mesh pocket for storing a fork and spoon too. What's Great About It: You can go wild, so to speak, over the wide range of striking styles available. The insulation properties and compartments are great too. Parents and kids have thousands of choices for their lunch boxes, from the one-compartment to the Bento-style lunch boxes, which come in a wide range of sizes, styles, and colors. Our job of choosing the best lunch boxes for our kids isn’t an easy one. But in the interest of assisting parents in choosing the safest, most durable, functional and beautiful lunch boxes, I rolled up my sleeves and went to work. I looked for the following factors in making my choices for the top 10 on this list. I considered the safety of the materials used since it’s the most important part of lunch boxes. I didn’t want to recommend lunch boxes with materials that can jeopardize the health of your children. I have heard of chemicals, dyes, and other possibly harmful substances leaching into kids’ food and drinks, thus endangering them. I only considered the lunch boxes made of materials approved by the Food and Drug Administration (FDA), among other regulatory bodies, for use in consumer products. The plastics, foam layer, and inner lining should be free of toxic chemicals including PVC, BPA, formaldehyde, and lead, to name a few. I had to partly rely on the manufacturers’ attestations about the materials used in making the lunch boxes, but I also expanded my research into consumer reviews. 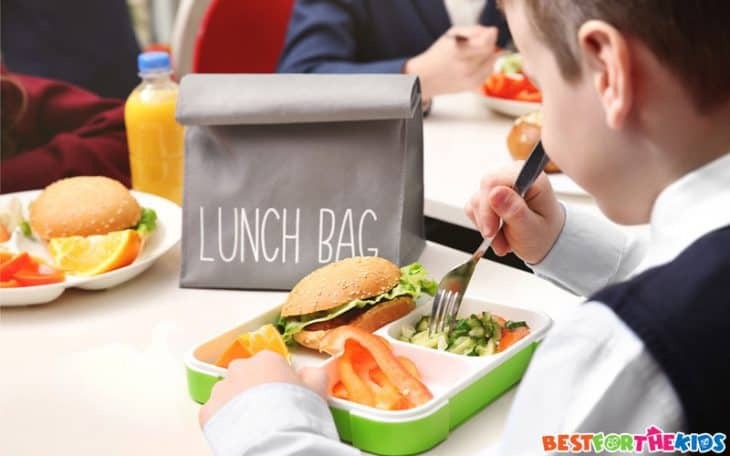 The best lunch boxes for kids have multiple insulation layers that contribute to keeping the food and drinks either warm or cold, depending on the desired temperature during consumption. The rule of thumb here is that the higher the number of insulation layers, the greater the insulation capacity. 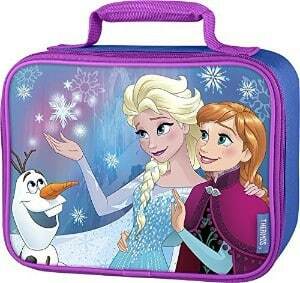 I suggest setting realistic expectations about keeping the food warm or cold while inside the lunch box or lunch bag. The insulation layers can only do so much in keeping the foods’ desired temperature, especially after several hours after their preparation. Even the best lunch boxes cannot rival the cooling capacity of refrigerators and coolers, or the heating capacity of ovens and microwaves. After a few hours, the food and drinks will lose their hot or cold quality. The warm food will go cooler and the cold drinks will go warmer between 7 a.m. and 12 noon for obvious reasons. But for keeping food and drinks in their near-original state after a few hours, insulated lunch boxes are a great choice. I don’t believe that the number of compartments in a lunch box solely determines its functionality. Your kid may be happy with a single-compartment lunch box because it’s easy to use. You may like a bento-style lunch box because it keeps food organized. I suggest looking at your kid’s lunch food needs and wants before making your choice. Your child may be a picky eater who doesn’t like his food touching on the plate. Your choice may then be a bento-style lunchbox since it keeps food separate. If you’re looking for a lunch bag, we suggest choosing one with sufficient number of compartments and pockets. You can place the lunch box in the larger compartment, the eating utensils in a smaller pocket, and a drink bottle in a side mesh pocket. 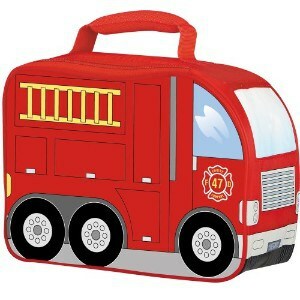 Of course, I also considered the appearance including the colors, graphics and overall design of the lunch boxes. I believe that for kids to want to open their lunch boxes, they must be attracted to the boxes themselves. Think of it as visual stimulation tool. Even the best lunch boxes for kids will be of little to no use if your kids don’t even want to eat the food and drinks packed into them. This isn’t good news for parents since children need optimum nutrition to ensure their good physical, mental and emotional development. Malnourished children experience reduced physical energy, cognitive functioning, emotional skills, and even suffer from stunted growth. When we say optimum nutrition, we mean balanced meals consisting of fruits, vegetables, whole grains, and dairy products. The quantity of the food matters less than its quality, particularly in terms of the macronutrients and micronutrients. Here are our practical tips for packing kids’ lunch boxes and encouraging them to eat their lunches. Get creative with the shapes of the food, especially the dry ones. You can use cookie cutters in creating fun shapes in food, such as fruits, cheese, and vegetables. You can make melon balls, star-shaped burger patties, and triangle cheese slices. Add brightly-colored food items onto the lunch menu. You can add carrots, blueberries, strawberries, tomatoes, lettuce, and cucumber, which not only pack in the color, but the nutrients too. Provide your child with a wide variety of food. You can still stick to the peanut butter-and-jelly sandwich with an apple, if you’re in a hurry in the morning. But your child will soon be bored with the combo and will start eating less and less of their packed lunch. You should then vary the lunch menu so that they will be encouraged to try new foods and eat everything on their lunch box. You can add a meat and vegetable wrap, blueberries with yogurt, pita chips, and a granola bar for a boost of energy later in the day. Pack foods that can easily be eaten. Your kid has a limited time during their lunch hour so it makes sense to pack ready-to-eat food – no peeling, no cutting off the crust, and no cutting into slices. Your kid will then have time for socializing with their friends while digging into their lunch. Use small skewers to add variety to the lunch. Instead of the carrot sticks, cheese slices and individual berries, you can put them in mini-skewers for easy eating. Add a small sweet treat to the mix. You should choose the healthy options, such as homemade mini-muffins with fruit fillings. You will be preparing the lunch boxes for younger kids, a task that also requires planning. You don’t have to be stressed so early in the morning either. 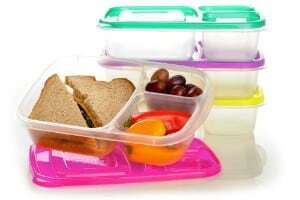 You can keep these useful tips in mind to reduce your lunch packing-related stress. Make a menu plan a week in advance. You will be able to plan your grocery purchases and save money on your grocery bill. Make use of the inexpensive options in your pantry and refrigerator. You can use leftovers, for example, for as long as they are good and these can be transformed into other dishes. Make use of easy-to-make recipes online. You will find dozens of resources for this purpose so it’s just a matter of choosing the ones that will please your picky eaters. We also suggest avoiding the use of bribes for kids to eat their packed lunches. You don’t want to be in a power struggle, which will not be beneficial to anybody. Choosing the best lunch boxes for kids is just half of the battle. Parents should also be aware and adopt measures that will encourage their kids to adopt healthy eating habits, be it for breakfast, lunch, dinner or snacks. Start by being a role model and getting them a lunch box they will love.